The Fab Four – Ultimate Beatles Tribute will perform at Barbara B. Mann Performing Arts Hall at FSW on Sunday, November 24 at 8:00PM. Tickets go on sale Friday, April 19 at 10AM at the Box Office, online at www.bbmannpah.com or call (239) 481-4849. The Fort Myers concert is presented by Emporium Presents, AEG Presents and PFM. 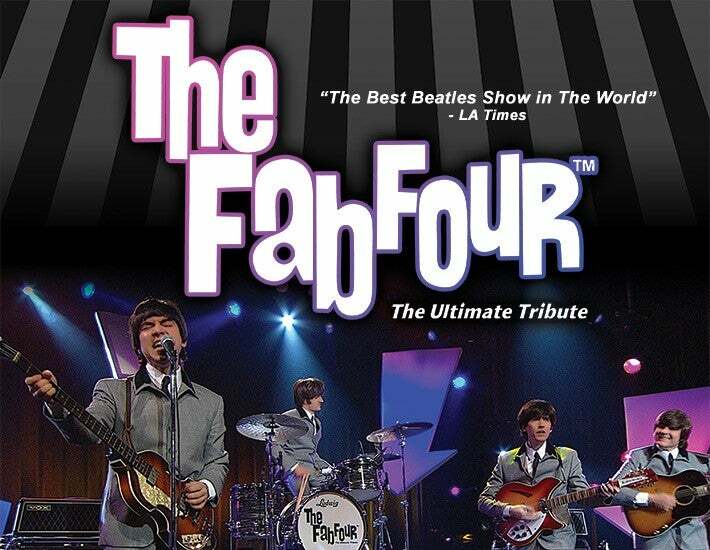 If you want to experience the best Beatles tribute ever, you won’t want to miss The Fab Four-The Ultimate Tribute. The Emmy Award Winning Fab Four is elevated far above every other Beatles Tribute due to their precise attention to detail. With uncanny, note-for-note live renditions of Beatles' classics such as "Can't Buy Me Love," "Yesterday," "A Day in The Life," "Twist and Shout," "Here Comes The Sun," and "Hey Jude", the Fab Four will make you think you are watching the real thing. Their incredible stage performances include three costume changes representing every era of the Beatles ever-changing career, and this loving tribute to the Beatles has amazed audiences in countries around the world, including Japan, Australia, France, Hong Kong, The United Kingdom, Germany, Mexico and Brazil. *All shows, dates, times and ticket prices are subject to change.